“There are poems that are neither dadaist nor surrealist, poems not written with any particular [ideological] awareness such as that of the proletariat, but are labeled ‘poems of daily life’ or ‘poems of working people’—poems, in short, that are closely linked to the kind of work the poet does, to the type of department she works in. Ishigaki’s first book of poems, published when she was thirty-nine, was titled Watashi no mae ni aru Nabe to o-Kama to moeru Hi to (The Pan, the Pot, and the Burning Fire I Have in Front of Me). 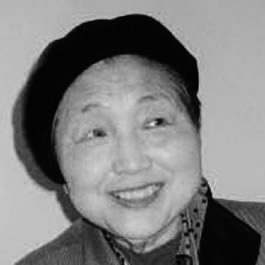 She published three more books of poems before they were assembled in the complete works, published from 1987 to 1988. A leading translator of Japanese poetry into English, Hiroaki Sato, with Burton Watson, won the 1982 PEN American Center Translation Prize for From the Country of Eight Islands: Anthology of Japanese Poetry (Anchor Books, 1981; reprint, Columbia University Press, 1986). He also won the 1999 Japan-United States Friendship Commission Japanese Literary Translation Prize for Breeze Through Bamboo: Kanshi of Ema Saikō (Columbia University Press, 1997). Among his prose translations are Legends of the Samurai (Overlook, 1995) and My Friend Hitler and Other Plays of Yukio Mishima (Columbia University Press, 2002). Among his forthcoming books are The Modern Fable: Poems of Nishiwaki Junzaburō (Green Integer) and Miyazawa Kenji (University of California Press), and White Dew, Dreams, & This World: An Anthology of Japanese Women Poets from Ancient to Modern Times (M.E. Sharpe). He writes a monthly column, “The View from New York,” for The Japan Times. Sato is senior research fellow at the New York office of JETRO (Japan External Trade Organization).